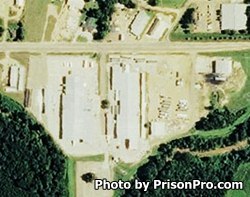 Holmes-Humphreys County Correctional Facility is located in Lexington Mississippi. It is a mixed custody facility that houses state inmates, and offenders who are awaiting trial within the county. The facility was opened in November 2000 and received its most recent American Correctional Association accreditation in 2008. While incarcerated here inmates can obtain and adult basic education and earn a GED. Offenders can also receive substance abuse treatment, receive vocational training, and participate in religious services. We currently do not know the visiting hours for this prison. If you know the visiting hours please leave a comment below. Contact the facility at the telephone number provided for more information.